Did someone say live your dreams? Well, in this case I wouldn’t recommend it, because a twisted psychopath with knifes instead of fingers named Freddy is haunting down a small group of teenagers in their dreams and tries to kill them. Who is this psycho killer, and what are his intentions? 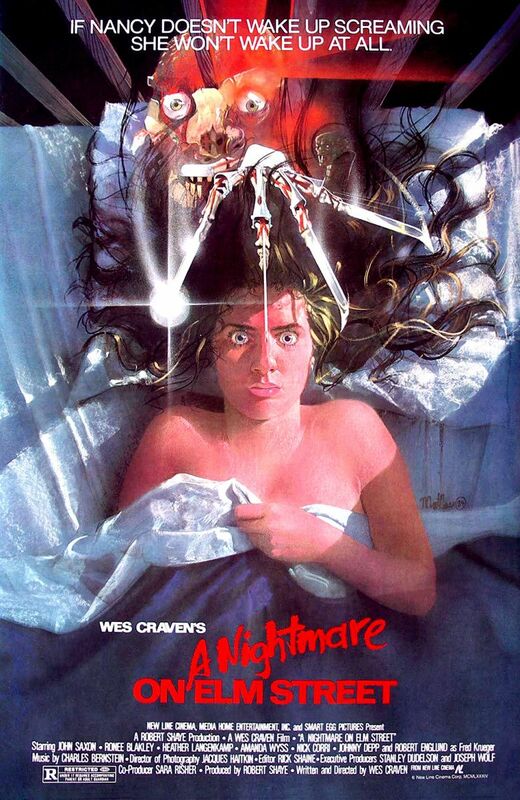 Good movies never get old, and A Nightmare on Elm Street is a damn good movie if you appreciate an original script. It is simple, but the creation of Freddy Kruger gave many many people nightmares in the 80s and I am sure even today. Robert Englund is a great pick for Freddy and plays his part well. The other actors, including young Johnny Depp, are refreshing and help raise the creep factor. Even the sequels for the Freddy Kruger franchise are worth watching. Definitely a great movie for Halloween. It gave me nightmares until I got used to it 😀 a lot of others got into the dreams as nightmare creatures, i guess. Unfortunately, the remake didn’t give any! No the remake like so many was less than satisfying.